Probably you already read a few pages on my website. I hope I’ve been able to give you enough and useful information. Yet I can not tell you everything, therefore this special page with tips and suggestions. The nice thing is that you may contribute to write even more tips and suggestions on this page. Your vacation tips are so welcome. Very important tip when you go to Gran Canaria or any of the other Canary Islands on holiday. The tap water or water from the tap is not drinkable on all islands. This is valid short everywhere for all hotels, apartments, bungalows. Do you drink the water anyway you can get intestinal complaints. Buy already when you arrive at your destination water in a shop near your hotel or apartment. The water is inexpensive and available in large plastic bottles. An evening walk along the promenade at sunset is a must. A recommended walk with sea view is from the lighthouse of Maspalomas to the Meloneras beach. There you can enjoy at a fresh pint of a wonderful evening. Stay in touch with your trusted music and news to our home, can through the various stations on the island. Radio stations can be heard in almost all languages. On the beach, in your hotel or apartment or online, it can do during your holiday. These and other radio stations on Gran Canaria are also be listened to online via an application of IOS or Android as TuneIn. With TuneIn you can listen to thousands of radio stations from around the world. To be listening on the beach you have needed a data plan or WiFi connection. I can imagine that you are taking your beloved pet with me on vacation. Unfortunately, during your vacation your pet can get wounded or sick. During your vacation you will be helped as quickly as possible. That is not a problem in Gran Canaria. There are good veterinarians and animal hospitals. Here I have for you some important addresses of veterinarians. – Clinica Veterinaria Atlantico – Existed since 1997. 6 veterinarians and staff members. – Clínica Can – One of the first animal clinics in Gran Canaria. Many beautician uses it in her beauty or wellness centers. The product is offered in drink, gel, cream, toilet paper and sun products. The sap is best suited to treat wounds and as a sunscreen and sunburn as aftersun. 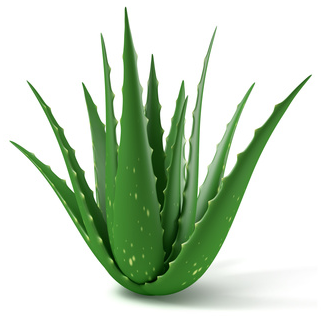 It is looking at the percentage of Aloe Vera which is located in the product. At the pharmacy and in some perfumery stores you can find Aloe Vera 100% what course is the purest form and most the effective. The plant can also easily create and growing at your home . Paying on Gran Canaria can be anywhere in Euros or by a bank or credit card such as Visa, MasterCard or Maestro with International Card Services. Cash withdrawals at an ATM is not a problem. Long search for an ATM should not because on almost every street corner or hotel you will find there is one. Keep in mind that withdraw cash with a credit card at an ATM, depending on your bank charges brings with, so consult your bank branch to check the rates applied before your departure. Do not forget before your departure on vacation to check your balance, so you do not get up. having a problem at your holiday. On Gran Canaria are several bank branches, known and unknown. Banco Popular Español, Cajasiete, ING, Banco Santander, Banca March, Deutsche Bank and a few others. Foreign currency exchange is still possible on the island. This can be in the known bank branches but also in small exchange branches. Exchange rates can be compared quite well. Just like in any other world country in Gran Canaria is the post also provided. A Post Office (Oficina de Correos) is characterized by its yellow color like the mailboxes. There is already a post office at the airport and the city center of Las Palmas, but also in the tourist areas like Playa del Ingles on Avenida Tirajana 37.